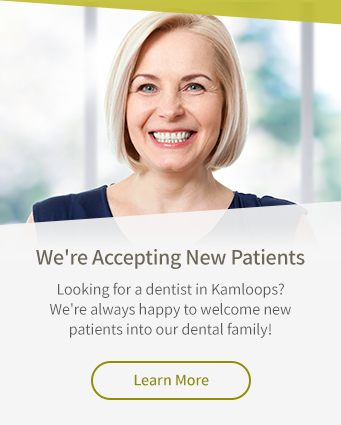 Dr. Simon Hill is a dentist at Cedar Dental Centre in Kamloops. Dr. Hill met his Canadian wife Trista in New Zealand and after having three boys in Gisborne New Zealand, the Hill family moved to Kamloops. When not ferrying kids from hockey to swimming, Dr. Hill can be found dirt biking all the amazing trails around Kamloops, camping or skiing with his family. Dr. Hill's friends joke that he is a Kamloops ambassador because he is always saying how much he loves our city.